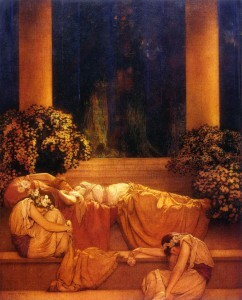 Sleeping Beauty by Maxfield Parrish, 1912. The image of Prince Charming and the Fair Maiden as celebrated in fairy tales permeate the arts and literature of humankind. Almost every culture idolizes warriors and beauties as clearly defined gender identities. Right or wrong, the fairy tale syndrome of male power and female passivity prevails. The ancient fables encapsulated and codified gender archetypes arising as oral legends from the mists of time. The dominant muscular man seeks and saves the young woman whose beauty is rendered in golden hair and skin as lustrous as a pearl. Fairy tales and myths reflect basic truths, yet much is missing in that narrative and not all of the aspects of the timeless tales serve us well in contemporary society. Fairy tale fantasies and gender roles came to mind when I read the NPR article entitled Misty Copeland Inspires a Barbie ‘Sheroes’ Doll. Misty Copeland rose above racial, social and economic barriers to become the first black female principal dancer of the American Ballet Theater through hard work and remarkable talent. Bravo! Aspiration, excellence, accomplishment, heroes, and heroines are admirable. Misty’s prize is her rewarding career and to have a Ballerina Barbie Doll in her honor is intended to inspire and empower young people to pursue their own dreams. It all has the makings of a classical fairy tale, an inspiring story of how personal merit triumphs in the end. Archetypes are easily grasped and woefully misleading. Ballerina Misty Copeland poses with the Barbie doll that’s based on her, in this promotional photo released by Mattel. As a shy young girl, Misty played with Barbie dolls, which gave her a way to dream, stating, “Barbie can transform into anything.” This is the essence of fairy tales. The hero or heroine overcomes all odds to achieve their dream. Hope is at the very center of these fables, but gender roles strictly define who performs the tasks to achieve the hoped-for objective. The usual tale begins with “once upon a time,” and often climaxes with a sword wielding warrior rescuing a maiden who is a vision of sublime beauty, virtue and purity. Does the warrior have to be male? Does the beauty have to be female? Will there be a male doll, someday, to celebrate a male dancer? Both men and women dance. Surely, they provide heroic images for both genders. In their basest forms, fairy tales have become a template for justifying aggressive male and passive female behaviors. It is a self-perpetuating syndrome, easily understood and readily marketable. Aggressive men do exist; beautiful women do enchant. These archetypes have inspired thousands of years of art, literature, cinema, and countless other forms of verbal and visual images. Is that, however, the whole story? Do the tales render such a limited view of gender? There is more. Specifically, the moral of the tale. Do the tales not also tell of social justice, of goodness triumphing over the baser instincts of jealousy and lust, of the apparently weak prevailing over the perceived strong? Does the warrior have to be male? Does the beauty have to be female? Archetypes are easily grasped and woefully misleading. Read the tales more carefully and other messages arise. Beauty may lead to vanity but is tempered by virtue. Prince Charming’s strength is prevented from becoming naked aggression by the governing hand of moral purpose. The warrior male carrying the sword of justice and the maiden embodying physical beauty and virtue are still with us and permeate law and social custom. The Fairy Tale Syndrome of hyper masculinity and hyper femininity persists. Keep the virtues, dispense with their assignment to specific genders. There are many voices in the old fables. They speak of inner strength and beauty, of moral courage and ability which may reside in both genders. 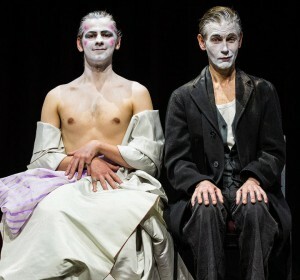 The actual fluidity of gender is further explored by actor Neil Bartlett in his article Gender is a Journey, Not a Destination in The Guardian. He recounts the life of the Victorian actor Thomas E. Boulton, arrested in April 1870 for using a ladies’ public bathroom while dressed as a female impersonator. Acquitted, Bolton went on to play with gender roles in numerous stage identities ranging from dim suburban boys to glamorous drag queens displaying multiple forms of sexual orientation. Taking the time-honored place of men dressing as women on stage from ancient Greek theater, Bolton used history and fantasy to question gender identities and triumphed as a popular star. History and fairy tales teach us a critical lesson: things are not always as they appear. Heroes and Heroines do exist. Their gender need not be defined.